Ace Cash Express complaints number & email. Get verified information about Ace Cash Express complaints email & Phone number. If you need to make a complaint to the Ace Cash Express, call 972-550-5000. If you wish to take matters further, a range of contact options are shown on the website. Call the Ace Cash Express complaints line on 972-550-5000. If you need to take matters further, the ‘Contact Us’ section of the website presents several clearly laid out options along with a description of the complaints procedure. You can choose between postal or online written contact, phoning via 972-550-5000 or visiting your local branch. ACE Cash Express, Inc. is a financial services provider headquartered in Irving, Texas. Founded in 1968, ACE provides a range of retail financial products and services including short-term consumer loans, check cashing, debit card services, money transfers, bill payments and money orders. 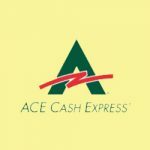 ACE Cash Express is one of the largest owners and operators of check cashing stores in the United States. Hopefully, We helped you to get some genuine records for Ace Cash Express Complaint information. Use below complaint form to discuss problems you have had with Ace Cash Express, or how they have handled your complaints. Initial complaints should be directed to Ace Cash Express directly. You can find complaint contact details for Ace Cash Express above.